In the opening match of season’s spring part, the Pitmen (with 42 points) took on Vorskla, currently ranking 9th in the league (with 18 points). 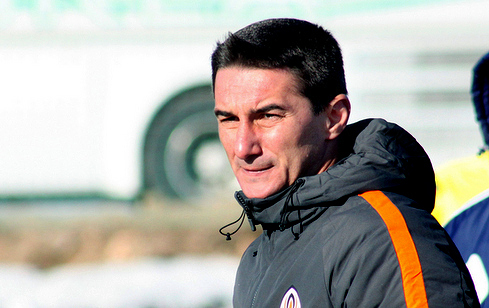 The first round fixture in Poltava ended in a confident 3-1 win by Valeriy Kryventsov’s lads. 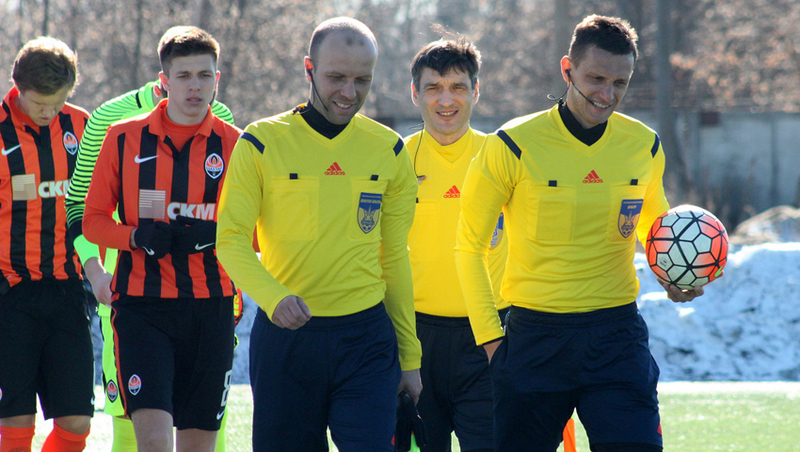 In winter, the Orange-and-Blacks saw some staff changes, so Valerii Bondar and the former Shakhtar U19 Viktor Kornienko took to the field in the starting XI in the role of defenders, with Yurii Hlushchuk playing a centre-forward. A long break in the premiership could not but affect teams’ conditions, therefore the first half passed at a low pace, with a lot of challenges and scarcely any moments of danger. The Pitmen were on the front foot trying to display combination play, but saw the first sight of a goal courtesy of individual performance from Ihor Kiryukhantsev. Shakhtar full-back moved from his regular right wing to the middle of the pitch and flicked a curler into the far top corner only to see it just wide. The visitors counted on set pieces, but it did not come to real threats near Yevhen Grytsenko’s goal so far. Pace increased significantly after the break, and both teams started to operate actively offensively. In the opening stages, Yurii Hlushchuk could notch a goal: the striker intercepted the ball in midfield and ran one on one with the Poltava side goalkeeper, but after rounding up the latter, he missed an open net. However, Vorskla converted their opportunity. After playing a free kick, the ball bounced to Ichanskyi who fired his effort into the bottom corner. Immediately after that, Giorgi Arabidze came near to equalize. After latching onto the pass from deep, the midfielder shot a volley to see it blocked by the defender. Shakhtar headed forward in numbers, but dense defence made no mistakes in the area. Hlushchuk could do the needful with his long-range kick, but the Poltava side goalie made a save to put the ball behind for a corner. Throughout the closing ten minutes, the Donetsk side attempted to deliver a decisive attacking move, but the attempts of teeing up the ball to forwards came to nothing. In injury time, a chance of ending a match in a draw fell to Danylo Sahutkin, who fell short of a couple of centimetres to tap a cross from the wing in. Shakhtar suffer a 0-1 loss to Vorskla. 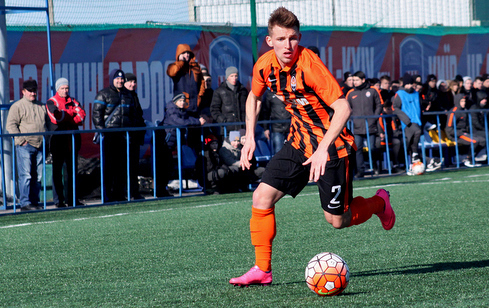 Shakhtar U21 will have their next fixture versus Volyn in Lutsk on 4 March. - Today, I am pleased with the game organization and team’s performance, as well as proper players’ attitude to the match. We succeeded in everything, except for securing a win. We tried to play diversely and often moved the ball from one wing to another. At the same time, the opponents defended in numbers. All that Vorskla hoped for was to beat out the ball away for their forwards, cling to the ball and hope for a miracle. And the miracle happened ... It pleased me that the Pitmen are well prepared physically: throughout the entire match, they were putting pressure on the opponents - from the first to the last minute. We faced a problem with the synthetic turf again. This is our third game on the artificial turf, which does not allow us to demonstrate our top qualities. In common with the first team’s match vs Celta, we just fell short of scoring a goal today. If we were first to open the scoring - and real opportunities came our way- we would safely secure a victory. Instead, we conceded ourselves after a free kick and lost three points. I understand how bad our players are feeling right now, since they gave their all, enjoyed 75 percent ball possession of the time, but failed to achieve the desired result. But there are still many fixtures to play. We lifted the lads’ spirits by saying that everything is in our hands and it is necessary only to improve and not to lose heart. The struggle for the title is ahead of us.